Last November I reported on the overwhelming defeat in the Scottish Parliament of Margo Macdonald’s End of Life Assistance (Scotland) Bill by the margin of 85 to 16. MSPs were persuaded that any weakening of the law to allow euthanasia or assisted suicide would put vulnerable people under pressure to end their lives. This was not an isolated incident. In January 2010, an ‘Oregon Style’ assisted suicide bill was defeated in the US state of New Hampshire by a vote of 242 to 113. On 23 April the Canadian parliament defeated Bill C-384, a bill that would have legalized euthanasia and assisted suicide by a vote of 228 to 59. 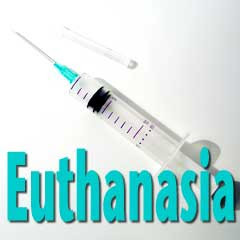 In November a bill that would have legalized euthanasia in South Australia was defeated by a vote of 12 to 9. The pace of rejection of similar bills has continued into 2011. On 19 January, in a preliminary reading, the Knesset (Israeli House of Representatives) rejected a law proposal that would have allowed terminally ill patients to self-administer drugs that would cause them to die. NK Chaim Oron (Meretz), who initiated the law titled 'Death by Prescription,' proposed that a dying patient who is able and of legal age should receive, upon request, a prescription for a lethal dose of a sedative. Only 16 MKs voted for the law, while 48 voted against it. On 20 January the European Court of Human Rights (ECHR) ruled that while there is a ‘human right’ to suicide, the state has no obligation to provide citizens with the means to commit suicide. The court found Article 2 of the European Convention on Human Rights, guaranteeing the right to life, particularly persuasive. ‘The Court notes that the vast majority of member States place more weight on the protection of an individual’s life than on the right to end one’s life and concludes that the States have a broad margin of appreciation in that respect,’ explained Grégor Puppinck, the director of the European Center for Law and Justice in a press release about the decision. And just last night the French Senate rejected proposals to legalise assisted suicide and euthanasia, by 170 votes to 142. Francois Fillon, the French prime minister, had spoken out strongly against the proposals. The pace of rejection of such legislation is exceeded only by the frenetic rate at which pro-euthanasia groups are desperately bringing forward new bills. But it’s not working because parliamentarians and judges who consider the matter carefully are not being fooled by emotive arguments, hard cases and misinformed public opinion. In a democratic society there are limits to human autonomy. The law is there primarily to protect vulnerable people and public safety will always trump the demands of determined individuals backed by pressure groups who want to undermine existing laws. As Lord Falconer’s discredited Commission on Assisted Dying moves into its third month trying to craft a justification for changing the law in the UK one hopes that British parliamentarians are reading their newspapers and learning from the wisdom of jurisdictions all around the world.